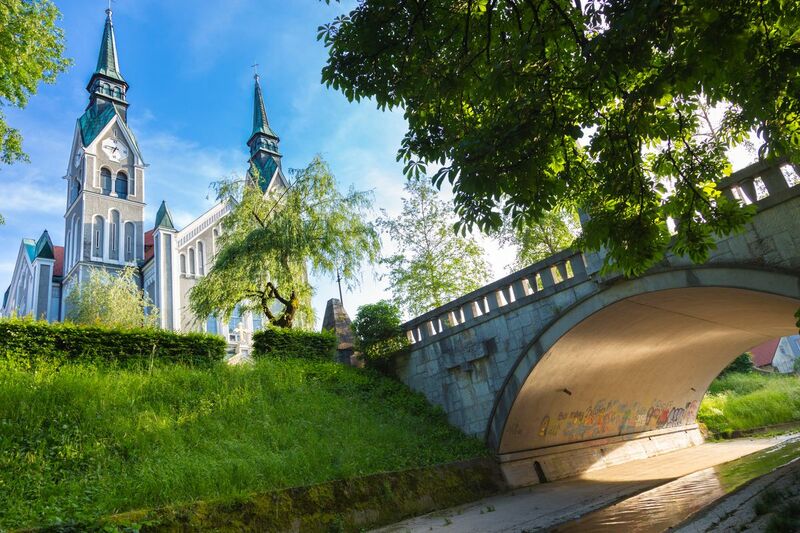 part of the city's charm, as the main pastime here is simply wandering the cobblestone streets by the Ljubljanica river, sipping coffee at a cafe or appreciating the striations of architecture dating back 500 years. Those young at heart should head out to Metelkova, where former military barracks have become a haven for nightclubs, bars and art galleries. Most restaurants serve a Slovenian delicacy: horse meat (try a horseburger!). Most hotels have been built in the past 20 years, and are a quick walk or taxi ride from the central train station. Ljubljana is an incredibly charming European city. I took a walking tour and loved it. Very beautiful city in Slovenia! I love the old and historic buildings and the friendly people. I'd like to come back in summer when it's warm and sunny. It must be awesome to sit outside and listen to the street musicians or walk threw the city and do some shopping! Can't believe this city have powerful nightlife, i ate a lovely mini cake in market ,live as locals and I love Ljubljana!! Ljubljana is a truly beautiful small European city. Slovenian people are so nice! Be sure to take a coffee or local beer outside on a terrace if it's warm. Ljubljana is underwhelming compared to other European capitals. With a population of a little over 270,000, Slovenia's "big city" is walkable in an afternoon, with particularly spectacular views and an idyllic "Triple Bridge" that runs over the city's river. There are no major attractions here, making it the perfect place to saunter around without worrying about squeezing in a lot in a short amount of time.